An-Li became a reporter while completing her law degree at Stanford. In law school, she wrote about housing affordability, criminal justice and economic development, among other topics. She also served as the intern to NPR Legal Affairs Correspondent Nina Totenberg in Washington, DC, helping Ms. Totenberg to cover the U.S. Supreme Court and other legal matters. Originally from Pittsburgh, An-Li interned with the investigations team at the Pittsburgh Post-Gazette before joining 90.5 WESA in August 2017. She can be reached at 412-315-6767 or at aherring@wesa.fm. 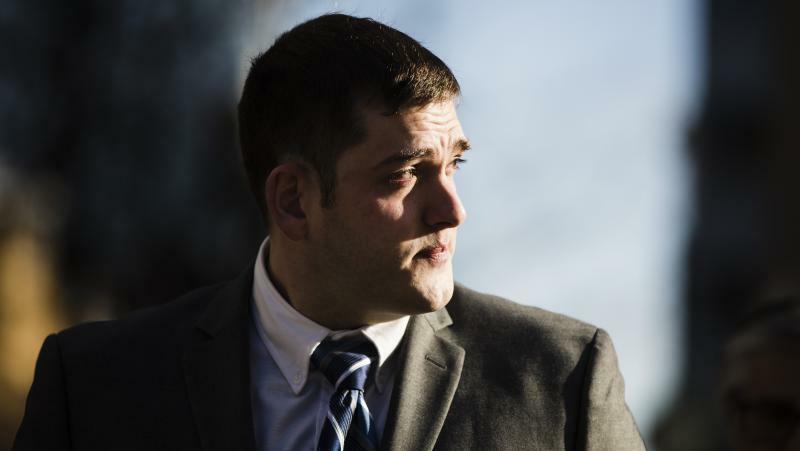 90.5 WESA's An-Li Herring reports on what arguments the prosecution and defense could make at Michael Rosfeld's homicide trial starting Tuesday. Former East Pittsburgh police officer Michael Rosfeld goes on trial Tuesday for fatally shooting 17-year-old Antwon Rose last summer. Activist Leon Ford has suspended his campaign for Pittsburgh City Council. 90.5 WESA's An-Li Herring reports on the significance of race in jury selection. Jury selection starts Tuesday in the homicide trial of Michael Rosfeld, the white police officer who fatally shot black unarmed teen Antwon Rose last summer in East Pittsburgh. A proposal to ban conversion therapy for minors is set to come before Allegheny County Council Tuesday. The therapy, which targets gay and transgender people, is intended to change a person’s sexual orientation or gender identity. More than four months since four Pittsburgh police officers got into a bar fight with members of the Pagans motorcycle club, federal prosecutors say they will not file charges against the officers. 90.5 WESA's An-Li Herring reports on underspending at the Allegheny County public defender's office. The Allegheny County public defender’s office underspent its budget for the sixth consecutive year in 2018. The mother of Trayvon Martin, whose 2012 death was a key moment in the Black Lives Matter movement, said there were unsettling parallels between the killing of her son and that of black Rankin teen Antwon Rose. Allegheny County common pleas judge Kim Berkeley Clark became the first African-American to serve as president judge for the county’s courts during a swearing-in ceremony last week. The landmark shift got no mention at the event, but the Administrative Office of Pennsylvania Courts confirmed Wednesday that the county never before has had a black president judge.